Liberty executives were returning to L.A. from the Monterey Pop Festival in full psyche regalia, having been 'enlightened' while at Monterey, bringing with them the latest fashions to the L.A. music scene. Gone were the suits and ties. In was 'freaking out' and an 'anything goes' concept. Shannon was encouraged and pushed into doing a psychedelic album. 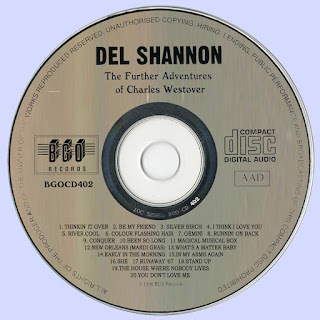 He was strongly encouraged to write the songs this time, and 'The Further Adventures of Charles Westover' began taking shape. Shannon took a risk and allowed junior producers Dugg Brown (formerly known as Doug Brown of Bob Seger affiliation) and Dan Bourgoise to produce the album. 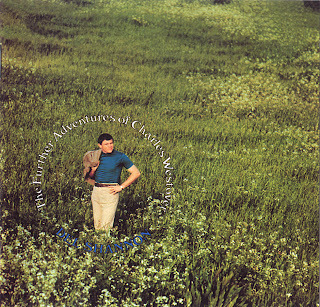 'The Further Adventures' began with a session in September 1967 that yielded "Thinkin' It Over," a song that had been written on a piano at Shannon's home by Del and Dugg Brown. A cover of the Box Tops' "The Letter" was also recorded for release as a single in the Philippines. 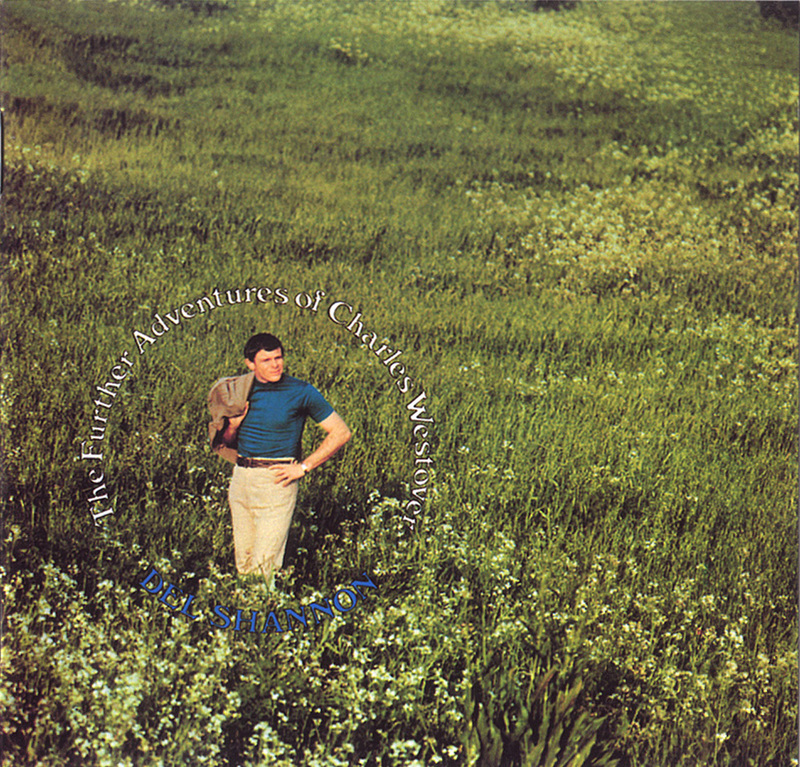 November 13, 1967 brought four additional tracks needed for 'The Further Adventures of Charles Westover' album. "River Cool," "Colour Flashing Hair," "Conquer," and "New Orleans (Mardi Gras)" included Dr. John on keyboards and Bob Evans (later of 'Smith' fame) on drums. Don Peake arranged, and Shannon poured everything into the sessions. Bourgoise remembers, "We found this great tape loop at Liberty, called 'Mardi Gras,' and we used it on the tail of Del's 'New Orleans' track. Del whispered and chanted throughout the song. Ahhh, it was great! Dugg Brown contributed the song to the session. He produced a band called 'Southwind' on Blue Thumb (Records). Jim Pulte wrote the song. Their version is pretty good too!" December 5, 1967 Shannon returned to Liberty Studio to finish off seven more tracks necessary for completing the 'Charles Westover' album. "Be My Friend" was written and contributed by Dugg Brown. "Silver Birch" and "Magical Musical Box" were recorded as well, a co-share on the writing credits by Del with Jonathan M. Perkins of Britain (they also penned "River Cool" together). Shannon brought "I Think I Love You" and "Gemini" to the table solo, and Shannon and Brian Hyland co-wrote "Been So Long." One great writing effort was the brief collaboration Shannon had with ex-Eddie Cochran girlfriend Sharon Sheeley. Together they cranked out "Runnin' On Back," a bitchin' tune that reflected awesome anger and reminded us of Del's short-lived "Move It On Over" style. Both the song and production work were hot on this side! "Thinkin' It Over"/"Runnin' On Back" and "Gemini"/"Magical Musical Box" were the only two singles from the album. Neither charted, but both became instant cult favorites. There was an oddness to "Magical Musical Box": lots of harpsichord and paranoia. "Thinkin' It Over" included a picture sleeve, the only Shannon 45rpm to have one in the United States. 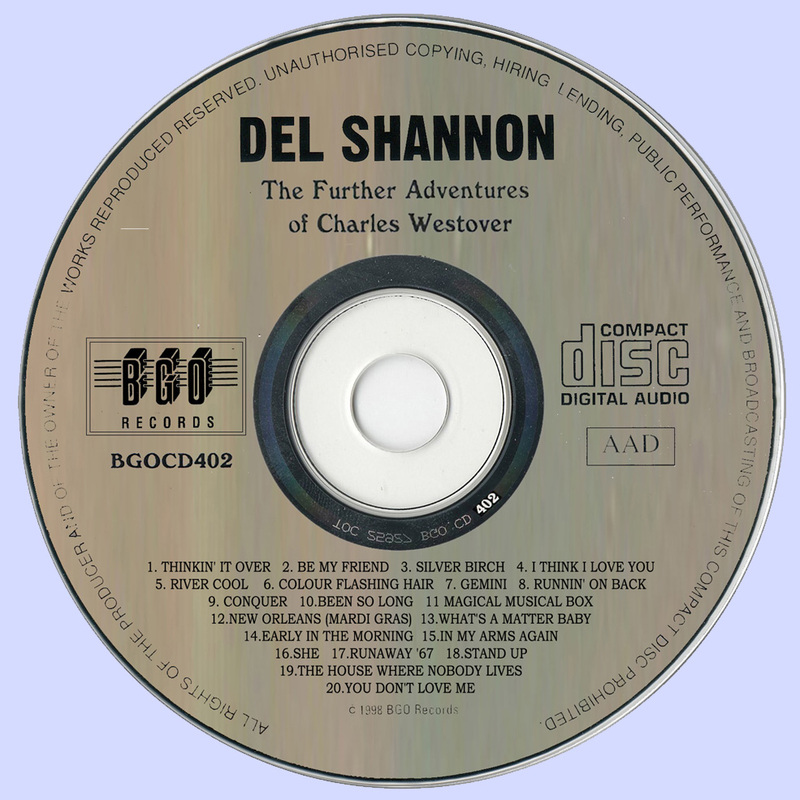 'Further Adventures' was Shannon's first album to be pressed with the majority of LP's slicked in stereo. Only Disc Jockey copies were pressed in mono. Hi Marios, thank you so much for this 2 albums and also thank you for single files (flac)!